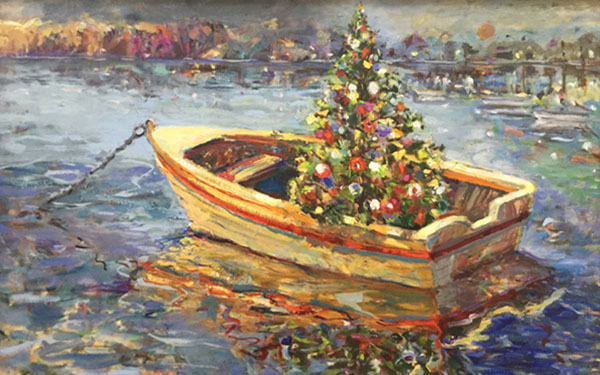 Christmas, Spring, boats and carousels: Peggy Brunton’s paintings are filled with light and color. See them at the library in December; opening Friday evening December 7. 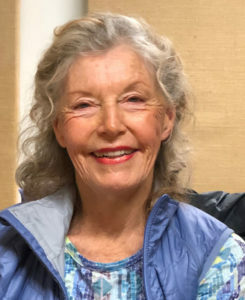 Artist Peggy Brunton received a Master of Fine Arts from the University of Washington and has taught ceramics, painting and art history for Seattle Pacific University. Her work has won awards in many prestigious Northwest exhibitions and has been placed in private collections in Berlin, London, Madrid, Paris, across the USA and throughout the Northwest. She has been chosen to be in permanent collections at Moscow Museum of Modern Art, Henry Gallery, and Seattle Art Museum. Listen here to learn of her approach to her work — and don’t miss her opening at the First Fridays Art Walk at the Bainbridge Library, December 7 from 5-7 pm.